Historically, flat roofs have been a challenge for roofers, and required the hottest, dirtiest work in the business: hot tar and gravel over a roofing underlayment. With our discovery of PVC and TPO products, this is no longer the case. Duro-Last and IB Roof Systems (high-performance PVC membranes), GAF liquid applied roofing products, and TPO roofing systems (thermoplastic polyolefin membranes) are unique products that are far superior to hot tar gravel or smelly asphalt. 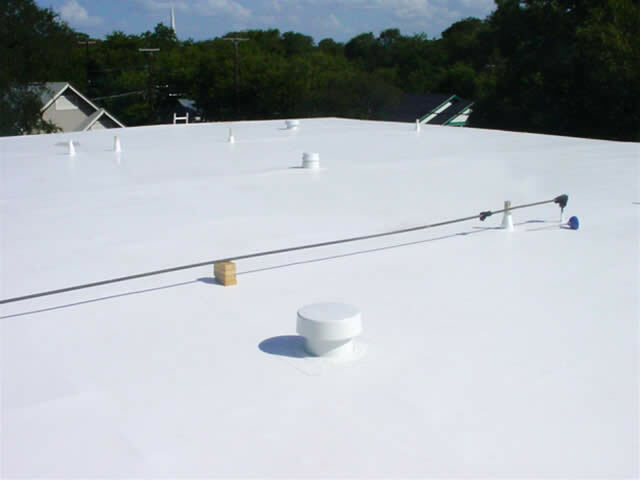 With high quality tie-in capabilities, these flat roof systems are uniquely formulated to withstand pounding water and protect a flat roof at its most vulnerable points. IB Roof Systems is so confident in their product, they offer lifetime residential warranties and up to 25-year commercial warranties! 90% Cooler Roofs, and Environmentally Responsible Too! These flat roof systems are not only pleasing to the eye. They reflect up to 90% of the heat that would normally enter your home or business. On many projects the new system can be installed over existing rooftops, eliminating messy tear-offs. 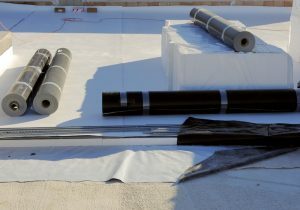 Breather vents accommodate moisture relief and best of all, the roofing membrane itself is designed to be recyclable. The new flat roofing systems help maintain a more comfortable building with lower energy costs – and they don’t create a lot of unnecessary waste. RoofCrafters is proud to be an approved/certified contractor for Duro-Last, IB Roof Systems and a GAF MasterElite™ Contractor and a Preferred James Hardie Remodeler. Talk with one of our Project Planners today to decide which of these flat roofing systems will meet your needs.